Imagine being born into a world consumed by poverty, poor health, HIV/AIDS, and massive unemployment. Now imagine being unable to care for your own children as a result of these factors. In Kenya, as in many other African nations, this is the reality people live with on a daily basis. Upon visiting and dedicating ourselves to Huruma Children’s Home in Ngong Hills, Kenya, we were able to experience firsthand the sadness that these situations cause and also the overwhelming hope that Huruma has once again instilled. Children of Huruma, infants to 18 years of age, are given a second chance. Their lives are saved in more ways than one. They each tell a story. Stories of watching their parents die from AIDS. Stories of wondering why they were beaten and then abandoned. Some came to Huruma as babies, some at older ages. They all have an inspiring capacity to love despite their horrific pasts. 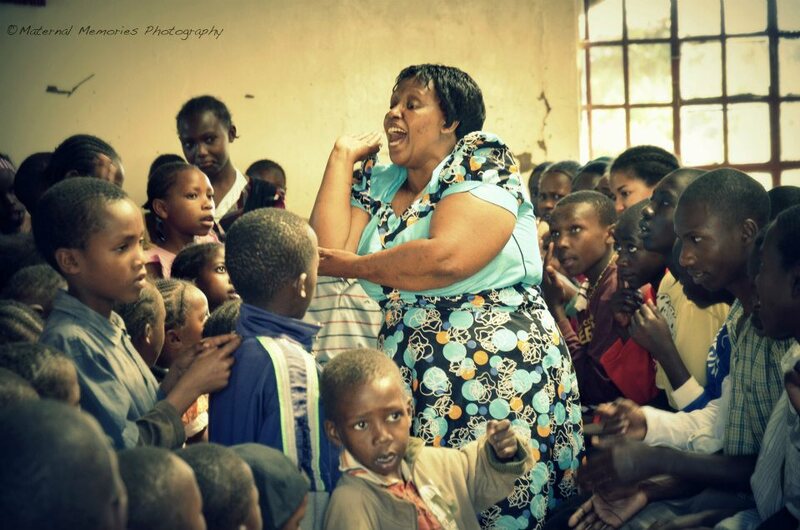 Mama Zipporah, founder of Huruma Children's Home, dancing with her children. Some of the beautiful faces of Huruma Children's Home. In loving these children, we learned a valuable lesson. Hope is not one sided. Hope can come full circle. Our committee set out to make certain these children continue to have a reason to hope, to know they have a future, to know they are loved. We formed the Hope for Huruma Foundation, a nonprofit organization that spreads awareness and sends its fundraising proceeds back to the children of Huruma. Today, we hope you join us in this endeavor. You too will discover that helping others who can only repay you in love always comes full circle. Hope for Huruma Foundation is a 501(c)(3) and is eligible to receive tax-deductible contributions in accordance with IRS regulations.